The ultimate in quality and design with an A+ energy rating. 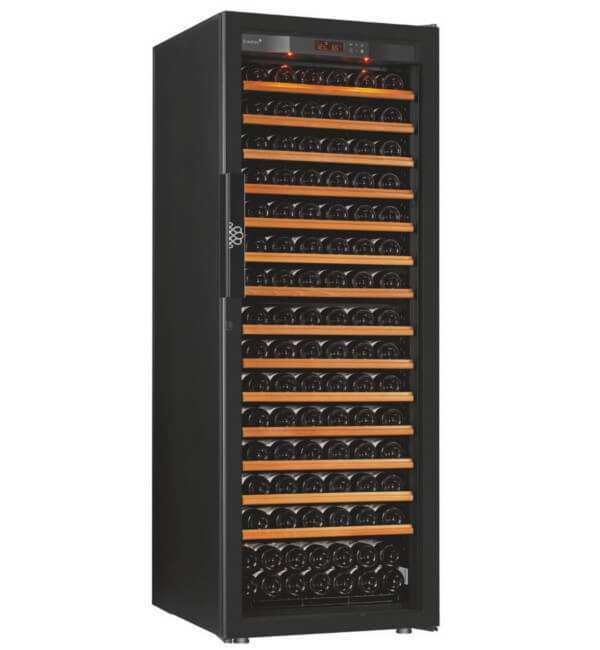 Uses 55% less energy than traditional wine cabinets. Unique shelving that can be customised to your collection. Can be built in to joinery or under stairs. 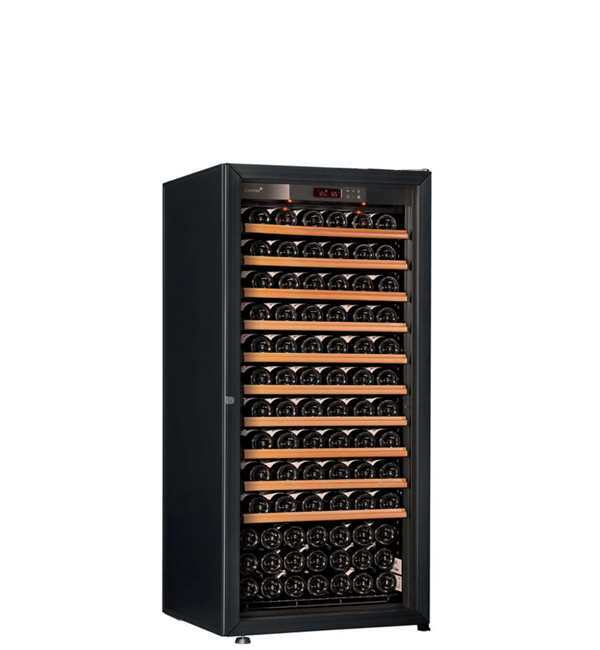 PURE Wine Cabinets represent a new generation of wine cabinets with an A+ energy efficiency rating. 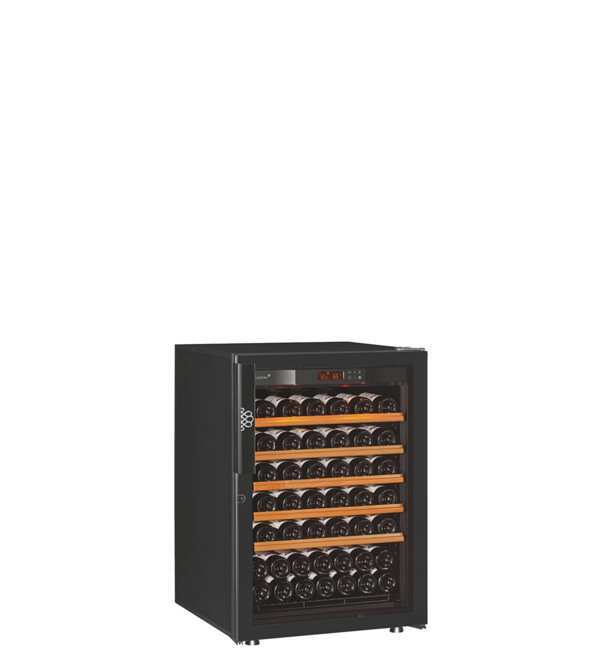 These wine cabinets are for those that appreciate the ultimate in quality and design. They combine the latest in technology, premium quality components and a respect for our environment. A choice of finishes provides you with the ability to customise your cabinet to suit you and your wine collection. Consume up to 55% less energy than traditional cabinets making them gentle on the environment and economical to run. Your choice of black piano door (“A+” energy rating) or a beautiful seamless glass door: double glazed, argon gas filled, UV protected (“A” energy rating). Roller mounted shelves with unique “Main du Sommelier” supports provide enhanced enjoyment and protection of your wine by minimising vibration. A range of shelves are available giving you the ability to configure the cabinet to suit your wine collection. Options include roller mounted sliding shelves, storage shelves or presentation shelves. There is also the option to upgrade to soft close shelves. The distance between shelves allows for over-sized 750ml bottles which are becoming increasingly popular with winemakers. No more label scratching. Shelves have a beautiful light timber facia (with the option to upgrade to black gloss or light oak facias). Internal UV free lighting and enhanced fan system for improved air flow.